Go ahead and glance at the lists below. We’ll wait while you let the sticker shock of a $97 lift ticket sink in. Now turn to the person next to you, maybe even the dog, and rant for a bit about corporate greed. If it helps, Aron left the company the next year. Or was fired. Now that some of your indignation has been released, let’s get a few things out in the open. First, these tickets are for an adult, all day lift ticket during the holiday period. Second, if you’re paying nearly a hundred dollars a day to get on the hill, you’re a moron. A season pass to not only Vail, but five other resorts was only $599 up until November 21st. So why are the daily ticket rates so damn high? It’s a marketing ploy to get potential customers to scoop up all inclusive lodging and airfare packages. Now that $800 dollar five night/three days of skiing package doesn’t look so bad when compared to a daily ticket price hovering around $100. This data comes from Bill Tarkulich’s November 2009 Analysis, a site where he has been informally compiling lift ticket price data since 2005. This article doesn’t event give half the story. 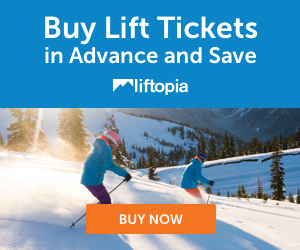 There are other factors that also go into a lift ticket price including insurance and operational costs… neither of which are inexpensive, and that’s only two. It’s nice to rant, but be fair and give all the information. Regardless of operating and insurance cost, at nearly 100 dollars is it really a bargain? into a sport of the well to do, admit it. That’s the full story! Come on, Switzerland is pricy but not as expensive as the USA these days. The skiing in the USA is a complete rip-off. I am amazed any one does it at 100USD per day or 500USD for a week. Better to go to a proper mountain resort like 4 Valleys at only 350CHF for 6 days it now sounds like a bargain. Plus the off piste is really up to the mark. And remember that Switzerland is expensive compared to France or Austria… Cost of labour is higher in Europe so I cannot work out the cost breakdown… When I skied 15 years ago in the USA it was not prohibitively expensive.